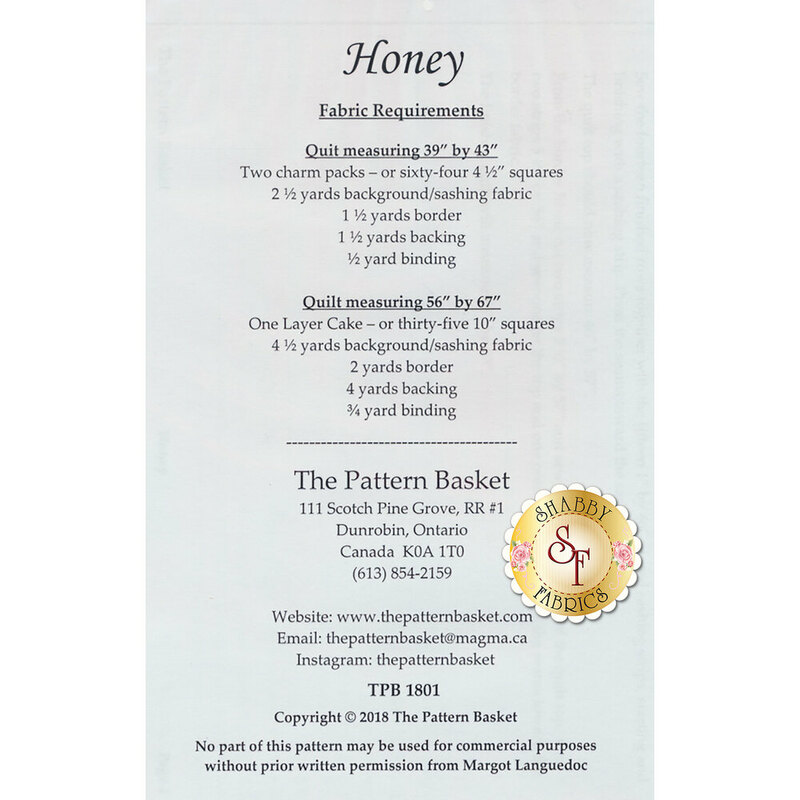 Honey is a sweet quilt designed by The Pattern Basket! Created with hexagon blocks that are made from squares so that no template is required, this quilt is easy and fun to create! This quilt measures approximately 39" x 43" or 57" x 67" and is pre-cut friendly!